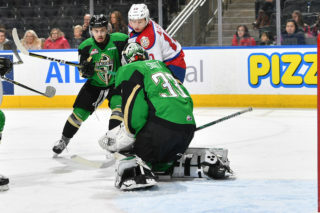 LAST GAME: The Edmonton Oil Kings closed out their final home stand of the season on Saturday night with a 7-1 loss to the Calgary Hitmen. Calgary would strike first in the game as Hitmen left-winger Jakob Stukel scored on the powerplay at 7:55 of the frame to put the Hitmen ahead 1-0. Just a minute later, Dom Schmiemann sent a quick shot past Dechaine to give Calgary a 2-0 lead. Late in the period, with less than 20 seconds to play, Hitmen centreman Mark Kastelic netted his 22nd of the season to put Calgary in front 3-0 through 20 minutes. In the second period, Boston Bilous would step in between the pipes for the Oil Kings. Just under 40 seconds into the period, Calgary left-winger Luke Coleman would beat Bilous glove side to make it 4-0 Calgary. 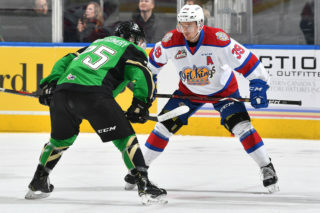 Early in the third period, Oil Kings David Kope ended the scoring drought in the game for Edmonton netting his 14th of the year to make it 4-1. Minutes later Kastelic scored his second of the game on the powerplay at 9:17 of the period to put Calgary ahead 5-1. Stukel and Kryski both added goals for Calgary late in the period to knock off the Oil Kings 7-1. OIL KINGS VS. HITMEN: The Oil Kings will face off against the Hitmen for the sixth and final time this season on Sunday afternoon in Calgary. 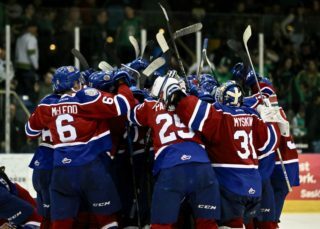 The Oil Kings have played the Hitmen five times so far this season putting up a record of 2-3-0-0. Sunday afternoon’s matchup will mark game two of a back-to-back against Calgary to close out the regular season for Edmonton. The last time these two teams faced off was on Saturday, March 17 at Rogers Place. In that game, David Kope was the lone goal scorer for Edmonton netting his 14th of the season at 4:47 of the third period in the 7-1 loss to Calgary. SEASON FINALE: The Oil Kings will close out the 2017-18 Western Hockey League (WHL) season on Sunday afternoon against the Calgary Hitmen for the final installment of the Battle of Alberta this season and the team’s final game of the season. 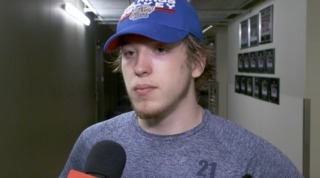 200TH WHL GAME: Oil Kings captain Colton Kehler played in his 200th career WHL game on Saturday night at Rogers Place. In 200 games played with the Oil Kings, Kehler has put up 106 points (66G, 40A). 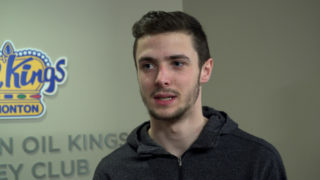 THE 20-YEAR-OLD CLASS: Oil Kings netminder Travis Child, centreman Tomas Soustal and right-winger Colton Kehler were honoured on Saturday night at Rogers Place. As each player will graduate from the WHL at the end of their 20-year-old season all three players success in the league was celebrated prior to puck drop. 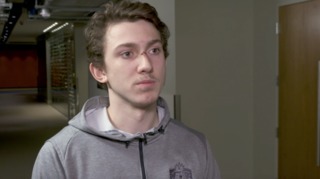 SUCCESS AT THE SADDLEDOME: Oil Kings Tomas Soustal has had some success when playing at the Saddledome against the Hitmen. In two games played at the Saddledome this season, the centreman has tallied 2 points (1G, 1A).